Bring your MENUS to life in seconds. 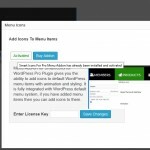 This add-on for Smarticons for WordPress Pro gives you the ability to add icons to default WordPress menu items with animation and styling. 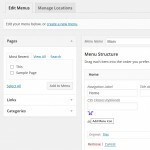 It is fully integrated with WordPress default menu system and it is simple to use. Basically, if you have added menu items before then you would have no problems in adding icons to them. 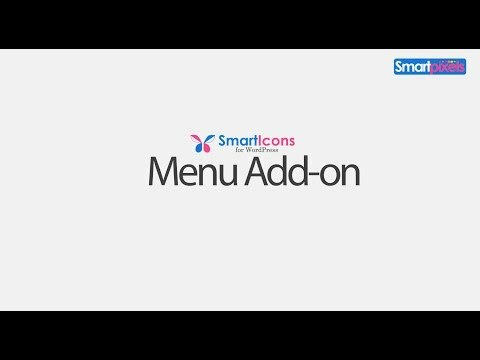 Easy two click/tap process to add icons to menus. No custom settings on Appearance Menus Screen. Detects other menu CSS classes. 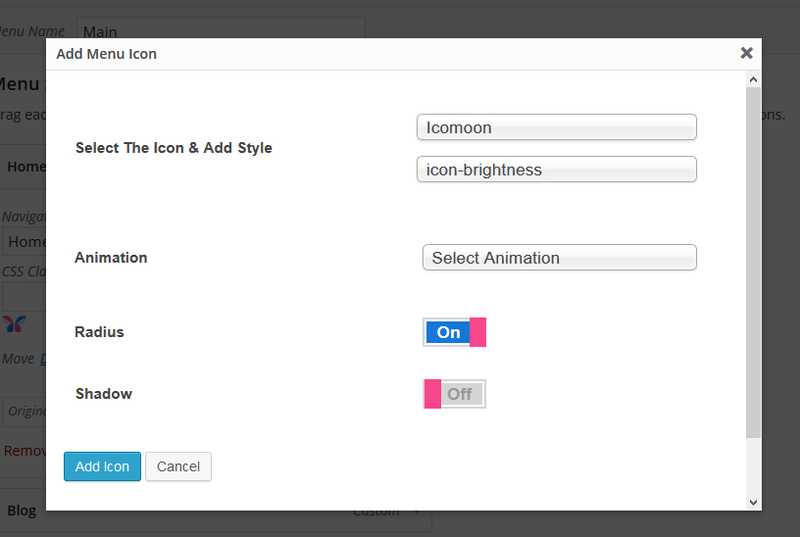 Animation and CSS effects like radius and shadow to customize the icons. Works for all the themes that use WordPress API. 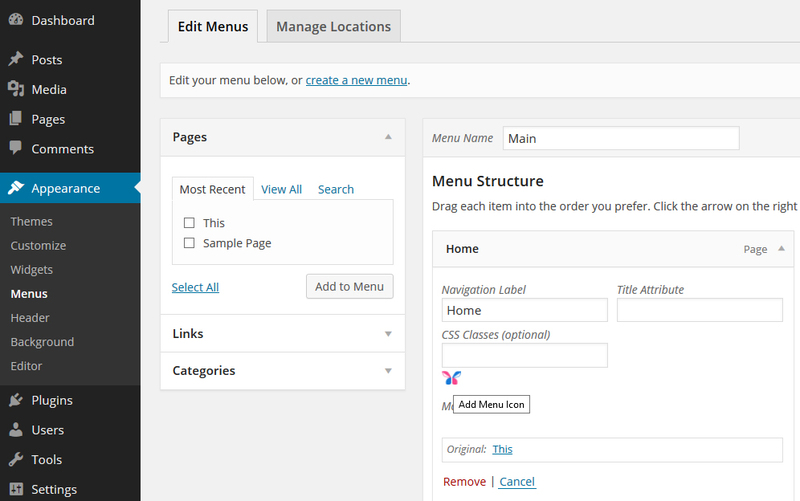 Easily upgrade or change your themes without the need to readd icons to your menu. High DPI, Scalable icons that looks great on any screen size. What icon packs can I use? Can we use the add-on any commercial theme? How to do I use the add-on? What should I do plugin notifies me of a possible conflict? Is there a demo ? Yes and No, the add-on uses WordPress default menu API’s to bring this functionality to you, most of the WordPress theme or plugin developers don’t reinvent the wheel and use the default API but some don’t. Please click on the Installation tab above to see instructional video. Unfortunately WordPress doesn’t have a dedicated API editing navigation menus items which has been documented in this ticket. So all the developers are using a single filter to edit nav menu screen and there in lies the possibility for conflicts. An API is under development and will come out with WordPress 4.2 and this plugin would be updated. 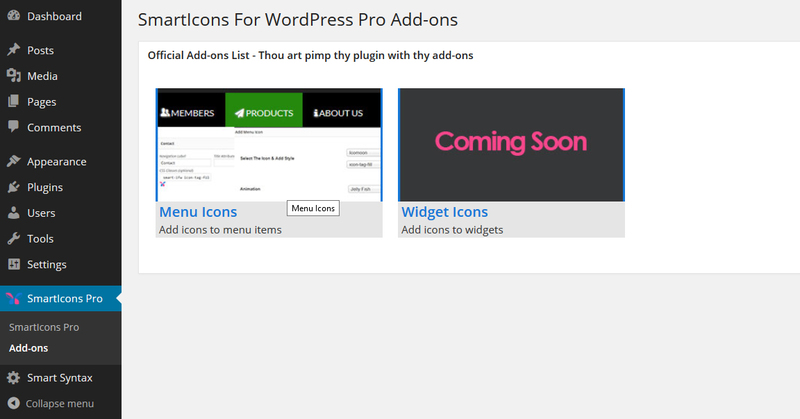 Currently the following themes & plugins may be using the same filter and may cause conflicts. Installing the add-on is similar to installing a plugin. 1. 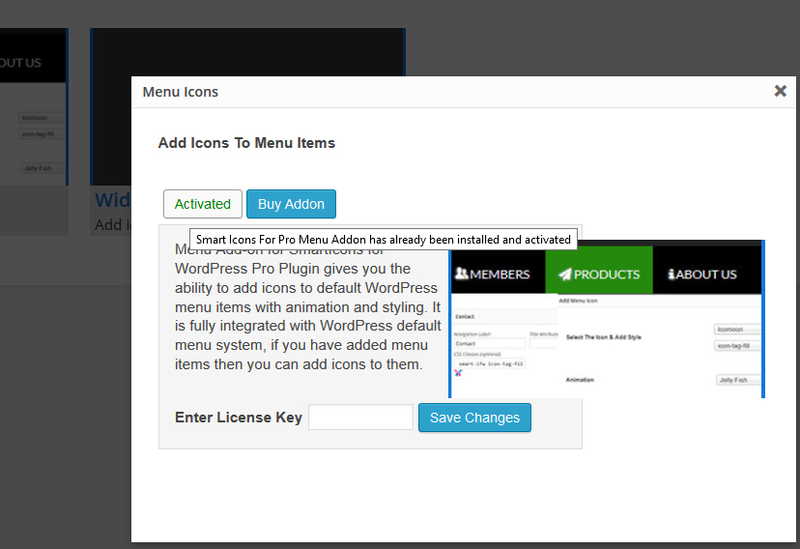 Download the add-on and get the license key from your account page. 2. 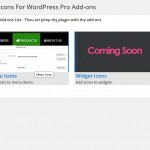 Upload the add-on as you would any other WordPress plugin and then click on install plugin. 3. Once the add-on has been activated enter the ‘License Key’ on add-ons page under Smarticons Pro! Menu icon button to add icons to each menu item.